Pat Gerkin's abstract paintings and mixed media have been exhibited in numerous solo and group shows throughout the Washington, DC area and New England. She currently works in encaustic and mixed media and in acrylics. Pat received her B.A. from Fairmont State College, and she has studied art independently and through the Corcoran School of Art, Arlington Arts Center, NOVA, and The Art League for the last 25 years. "Although my work is deeply rooted in places and nature, I have chosen to commit to the abstract expression as my metaphor. I find nature and its infinite combinations of patterns, ever-changing, ever new, compelling subject matter. In my personal quest to remain aware of the beauty of the world, I am intrigued by the paradigm shift one experiences when one changes perspective on the same subject. I like to work in the crack between 2-D and 3-D, using paint and disparate materials on various substrates. Mixed media gives me the opportunity to bring a sense of history or a sense of unearthing something into the current works. My visual vocabulary is rich with pattern, texture, and markings. 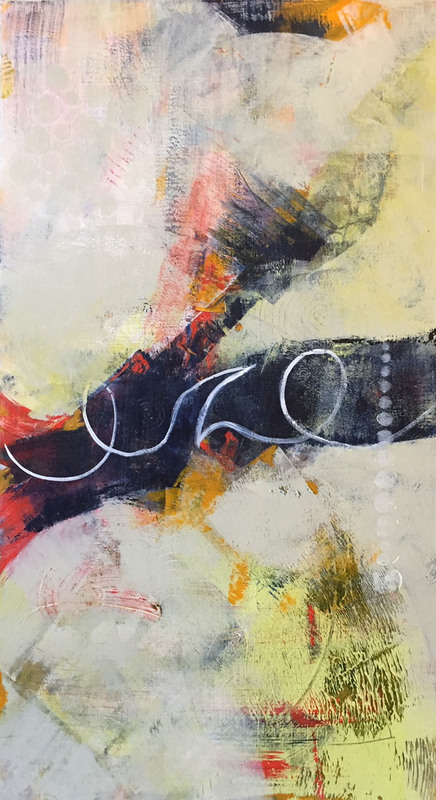 Using many layers of paint and mixed media gives the viewer a sense of something beneath the surface."